The company Chechen Mineral Waters presents the new Stom®iced tea tropic. Promotion of the product line Stom® by the company Chechen Mineral Waters includes development of a new brand image. The trademarkStom®presents a selection of 100% natural cold teas of the six most popular flavors based on classic and unique combinations of fruits. The brand is intended forthe young modern and active cityresidents with an average income. The basic concept of the brand Stom® is thehigh-quality 100% natural tea at a fair price. The promotion of Stom® on the federal level is supported by an advertising campaign that will last from September 11 till the end of October 2017. The campaign will also include media placement on the First Channel, TNT, Novaya Volna, GTRK Grozny. A video commercial will be released in two versions - "peach" and "tropic", which will be demonstrated in parallel throughout the entire broadcast period with the timing of 30 and 15 seconds. The line of already known lemonades of TM ChIASSR has been extended with the flavor of "BARBARISKA"! In August the company Chechen Mineral Waters is launching another novelty for those who love lemonades. The line of already known lemonades of TM ChIASSR has been extended with the flavor of "BARBARISKA". 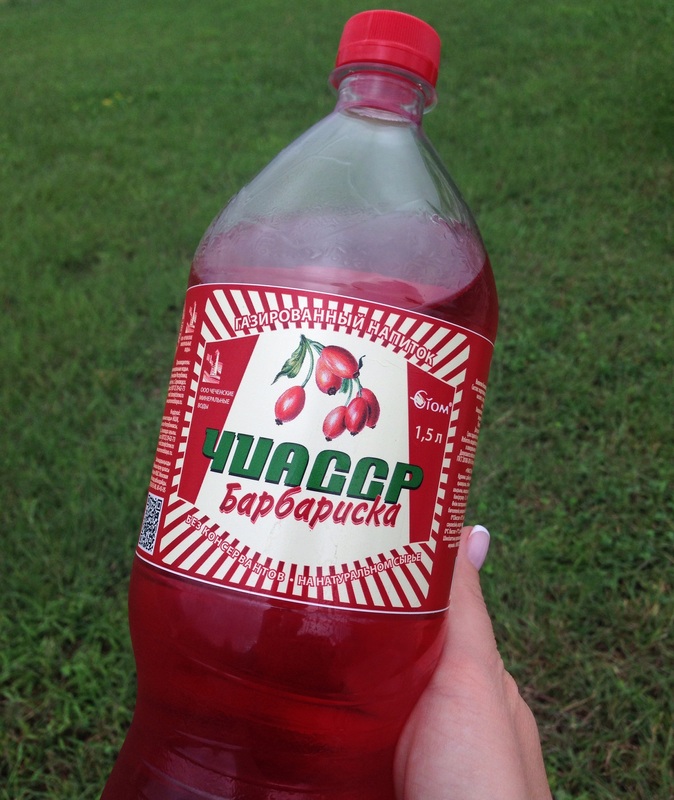 Its bright ruby color and unique rich, invigorating taste will perfectly quench thirst, cheer you up and improve your appetite. This product will be supplied in PET bottles of 0.5 and 1.5 liters, as well as in 0.5 liter glass bottles. The new taste harmoniously blends into the overall design of the entire line and is easily recognizable on the shelf. The company Chechen Mineral Waters continues its vehicle branding campaign as part of the large advertising project involving corporate vehicles. Today the company fleet comprises over 50 trucks. Vehicle branding turns regular trucks into unconventional and conspicuous advertising media. A bright SUNFAN car stands out among the traffic flow and will sure attract the looks of pedestrians, passengers and drivers. Obviously it's hard to miss an ad posted on the car moving ahead of you. The company plans to complete branding of the whole fleet with TM SUNFAN and VEDUCHI by the end of August 2017. The company "Chechen Mineral Waters" received a certificate! 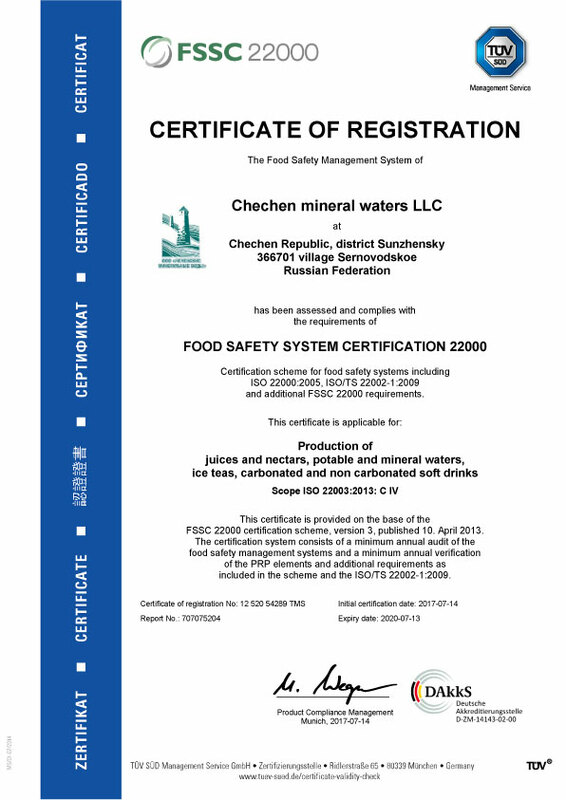 The company "Chechen Mineral Waters" received a certificate for compliance with the international system FOOD SAFETTY SYSTEM CERTIFICATION 22000. In August the company Chechen Mineral Waters is launching another novelty for those who love lemonades. 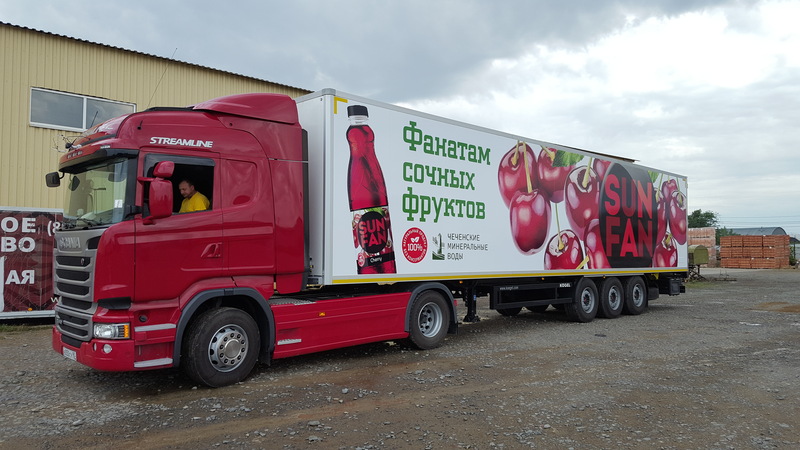 The company Chechen Mineral Waters continues its vehicle branding campaign as part of the large advertising project involving corporate vehicles.